The Life Coaching industry has boomed in the last 15 years. Now, the field of Equine Facilitated Learning is taking off. What is going to set you apart from other coaches or facilitators in your field of expertise? Are you ready for a simple, direct and compassionate body centered coaching process that guides your clients to their own truth? Would you like to coach your client to access their inner wisdom in half the time with twice the ease and clarity than standard coaching methods? Are you ready to take you, your business and your clients to the next level? Your coaching session will dramatically change using this model. You can anticipate your clients being pleasantly surprised by their insights. They will move toward their goals with more integrity, clearness and thankfulness to you for their advancement. Your new coaching approach will stand out compared to other coaching sessions where the mind-body connection and link are missing from the conversation. If facilitating equine-based learning sessions where horse is co-facilitator, you will see a new depth of awareness, communication and exchange between horse and human. Your client learns to become more “horse-like” and fully in the present moment. Getting directly to their truth with deep clarity. Reconnecting to their own wisdom and knowing. Spending less time trying and “efforting” to get to their goal. Gaining more energy and aliveness after just a few sessions. Making significant shifts in their life with ease. Telling all of their friends about the powerful and impactful session they had with you. Kathy listened to her students and then created, from what came naturally to her in her many years of coaching, the Mind Body MethodTM Coach Training program. She has been teaching others in the helping professions how to use this model since 2001. Now you can learn this model, from anywhere in the world, so that you also can provide deeply profound and inspiring results with your clients. The Mind Body MethodTM integrates the wisdom of both sides of the brain (left and right) and the body to create inner alignment, deep intuition, personal strength and confidence. 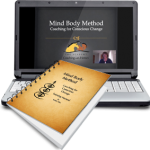 The Mind Body MethodTM (MBM) Coach Training was originally written and designed by Kathy for life coaches. Over the years, it has proven to be extremely useful for equine learning specialists, counselors, riding instructors, nurses, yoga instructors, massage therapists and others in helping professionals. It helps anyone who wishes to support their clients in integrating higher levels of awareness and consciousness on their journey of healing and expansion of personal power. No previous experience is needed. YES! I want a powerful coaching tool to use with my clients! The Mind Body MethodTM (MBM) Coach Training Home Study course has several models within the system. The models blend theories based in life coaching, polarity therapy, healing, the chakra system and The Law of Attraction. The MBM is a foundational piece of Kathy Pike’s Equine Facilitated Learning and Coaching (EFLC) Certification program. It is now offered through these Home Study modules to assist coaches throughout the world. 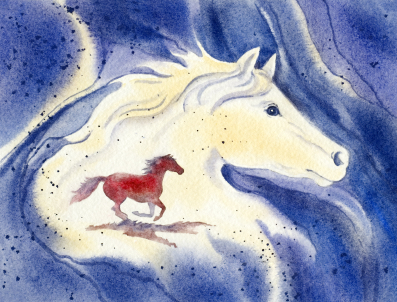 This is a watercolor horse spirit painting by Sandy Sandy. It shows the texture of handmade cotton paper and the charm of soft translucent color transitions. A metaphor of power and freedom, the horse symbolizes heightened energy and vitality. Webinars led by Kathy Pike with unlimited access. Mind Body MethodTM Coach Training Manual to support the tutorial and immerse you in the theory and model (.pds files). Prerecorded classes and/or sample coaching sessions lead by Kathy (mp3 files). Bonus pieces such as top ways to use the tool lists and/or fieldwork. Additional resources and tools (chakra system, polarity therapy concepts, law of attraction, etc). Horses are such powerful healers because they give us their presence. They stand before us and offer their complete attention. Humans have been conditioned to multi-task on a daily basis, pulling us out of the ability to quiet the mind, notice the body and live in the present moment. This simple, yet powerful, tool will help you to come back to the present moment, notice your patterns of thought and feeling, pause and then create choice at all times. This model is perfect when working with corporations or children in equine sessions. It is a key tool for empathic or sensitive individuals who would like to create better energetic boundaries with others. This module will teach the Foundational Model needed for all of the coaching models within this training. This core model offers an integrative, holistic opportunity for you to assist your clients to expand their awareness and potential, release old unproductive patterns and have a higher choice in their life. The coach empowers the client to listen deeply to their body wisdom. During equine based learning sessions, it guides the client to become more “horse-like” in their presence and awareness. The power of the present moment often unlocks the key to bring more movement to the energetic, physical and spiritual body. Truth, answers, directions and insights follow. The MBM model is very versatile and works in many different settings and situations. The Coaching the Vision Model is expansive, exciting and guides the client in understanding the importance of congruency while creating their life purpose or passion. Coaching is about helping people create more of what brings them fulfillment, a sense of contribution, connection with others and joy. Through this model, you help your client embody the vibrational quality that they desire. Through the coaching process, they gain clarity about how to move forward. They will naturally attract new opportunities that will move them toward their vision and goals. It is highly recommended that you start with the MBM – Foundation Model before the Coach the Vision model. Learn these models from anywhere in the world! Let your sessions stand out above others. Coach your clients to a deeper and more profound sense of self and truth. 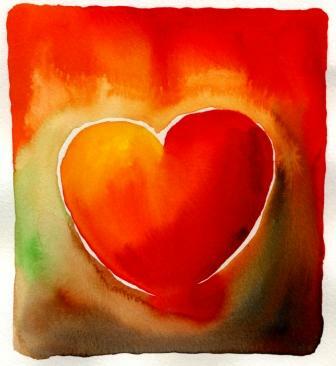 The Mind Body Method quiets the mind so your client can access their deeper wisdom, align with their higher purpose and move forward with a deep heart connection. For the first time ever you can have these valuable coaching modules from anywhere in the world! There is a vital need to bring these incredible integrative coaching processes and tools to all countries of the world. Technology continues to dictate and demand attention in our lives. There is a need to return to the earth, the animals and a deeper connection to our authentic and true self more than ever. Use these tools for yourself and others to achieve and keep that connection. YES! I want these powerful tools and models! Are you not ready to invest in these transformational coaching techniques at this time? Would you like to go slower, taking one piece at a time? You may benefit greatly by starting with The Four Steps to the Present home study. For a very low investment you can see just how much Kathy offers in her product. Once you start to use the model you will see how you get more than your money’s worth. It’s time for my coaching to go to the next level! Sign Me Up! Your next step. . . If you have any questions, we are happy to answer them and help you with your decision to purchase your very own Mind Body MethodTM Coach Training Home Study Course. Email us today. I have learned clear, simple, and reliable processes for tuning into my body’s knowledge and wisdom. I now know an easy yet profound way of assisting others to gain wisdom from their bodies, and to align that wisdom with their thoughts and plans. I experienced a powerful personal experience using the Mind-Body Method that resolved a deep, long-standing existential concern. My mind’s ongoing connection with my body is stronger and more reliable. 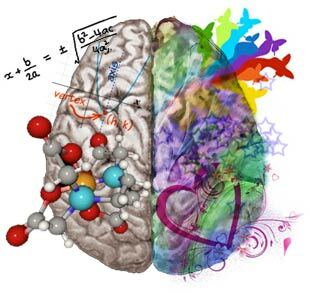 I’m able to toggle my awareness more readily between my mind and my body, and to be conscious of both simultaneously. My horse seems to be even more relaxed and secure with me than prior to the course, and my greater inner-body awareness has resulted in breakthroughs in my riding abilities. “Being a rider I am aware of physical brace in the body – both my own and my horse. Less understood has been the brace arising from emotions such as fear, anxiety, frustration and their expression through body sensations. “My interest in learning the Mind Body MethodTM arose from my experiences of personal coaching with Kathy last year. The sessions I had on the phone and in the round pen with a horse were all very powerful. I was guided to listen to the messages my body was offering to me as well as the messages from Diva. As I have participated in the Mind Body Method class this fall, I have found once again, that my body has the ability to express wisdom, need and desire. By practicing the Four Steps to the Present and the Mind Body MethodTM , I am able to cultivate my ability to listen to the energy in my body and develop the awareness needed to begin to let go of the old patterns and core beliefs that have been limiting me in life. And, not only will I personally benefit from using this method, but professionally I will be able to offer this as an intervention to my clients in my private psychotherapy practice. Thank you! "The depth of learning around self and horse helped me shift old patterns that were limiting my potential. I now have a better deeper understanding of emotion and energy that I can use both personally, and as I move forward with the work professionally. Becoming truly centered through the use of the Mind Body Method has allowed me to connect more authentically with others and horse." "Being a rider I am aware of physical brace in the body – both my own and my horse. Less understood has been the brace arising from emotions such as fear, anxiety, frustration and their expression through body sensations. Kathy’s Mind Body MethodTM Coach Training brings attention to these emotions. I was surprised to see that paradoxically the pathway is to notice, and observe from a non-resistant place, rather than try to change anything, as this in itself sets up a brace! Kathy offered a number of significant tools so we may become aware and empowered, in order to bring ourselves fully into our bodies and into full consciousness. Full consciousness was a theme of the two w/shops I attended – The Dance of Authenticity and The Conscious Riding Retreat. I can’t speak highly enough of Kathy’s gifts in guiding myself and the other participants safely through process to a more enlightened place of being." "The insights I gained in my sessions with the horses were profound, and I learned so much as an observer participant. It is the Mind Body MethodTM that helps me embody the insights and live the learning. I practice the MBM daily to keep me present no matter whatever I’m confronted with. I’m so grateful for this work." "It is hard to find words to describe the course. I was very impressed with Kathy and her work with the Mind Body MethodTM and how she has set things up to facilitate the experience that people can have with horses. My personal round pen session was very powerful and moving and I believe that all of the participants felt the same about their personal sessions. In my work in helping horses, through teaching horsemanship and training horses, I was previously told that if I was to truly help horses I would need to help heal the human heart. Kathy’s work with the horses seems that it would be very instrumental in helping to heal the human heart. I am definitely keen to learn more about her work."